Weather Sunny and very wet in places. Diary Caught in the mother of all thunderstorms, my rain making ability never ceases to amaze me. 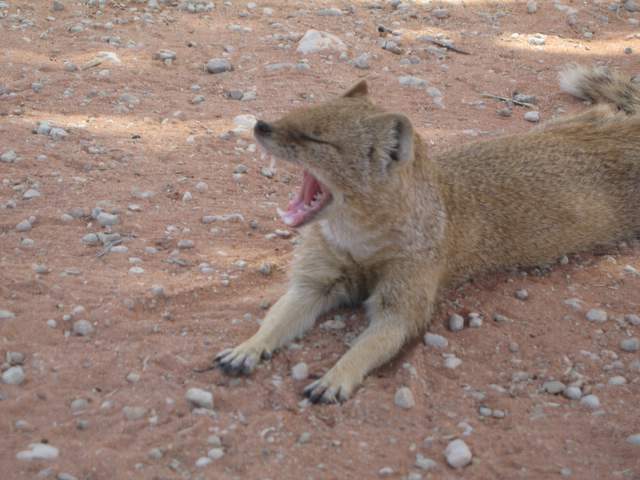 PIC SHOWS: Knackered yellow mongoose pushes us off our shady camp spot.